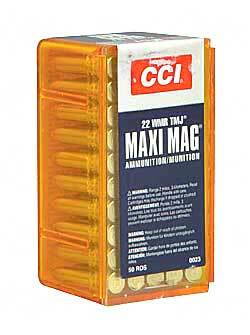 Maxi-Mag offers great power and range increase. Clean-burning propellants keep actions cleaner. Sure-fire CCI priming. Reusable plastic box with dispenser lid. Muzzle velocity 1875 feet per second.